We offer guitar lessons anywhere in London and the surrounding areas. Our expert, friendly guitar teachers travel to you – or you can visit one of them if you prefer. Guitar lessons in all musical styles, to students of all ages and all abilities. We offer acoustic guitar lessons anywhere in London and the surrounding areas. The acoustic guitar is a wonderful, traditional and versatile instrument used in just about all styles of modern music – Notably Pop, Rock, Blues, Folk and Country. 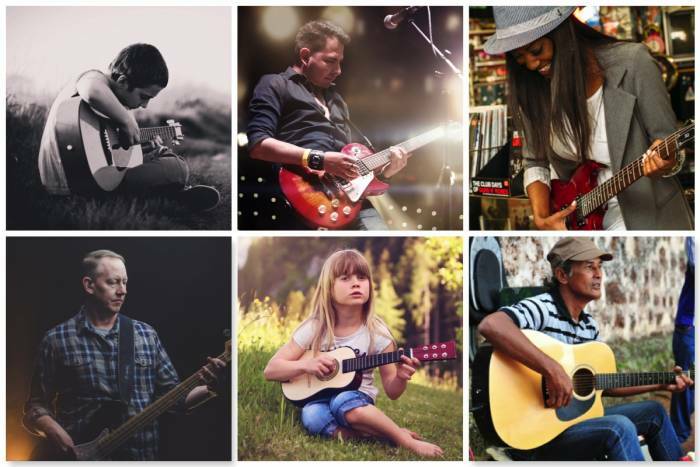 Our team of expert guitar teachers contains many acoustic guitar specialists who can visit you, or host lessons at their dedicated home teaching space. Our acoustic guitar teachers will teach you every element of good acoustic guitar technique, practice and performance. We offer home visits as standard, or you can visit one of our guitar teachers if you prefer. 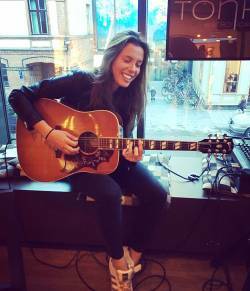 An introduction to ‘jamming’, or singing if you want to! We provide electric guitar lessons anywhere across London and the surrounding areas. The electric guitar is central to the modern band setup and many hugely popular musical styles including Rock, Pop, Blues, Indie, Metal and many others. 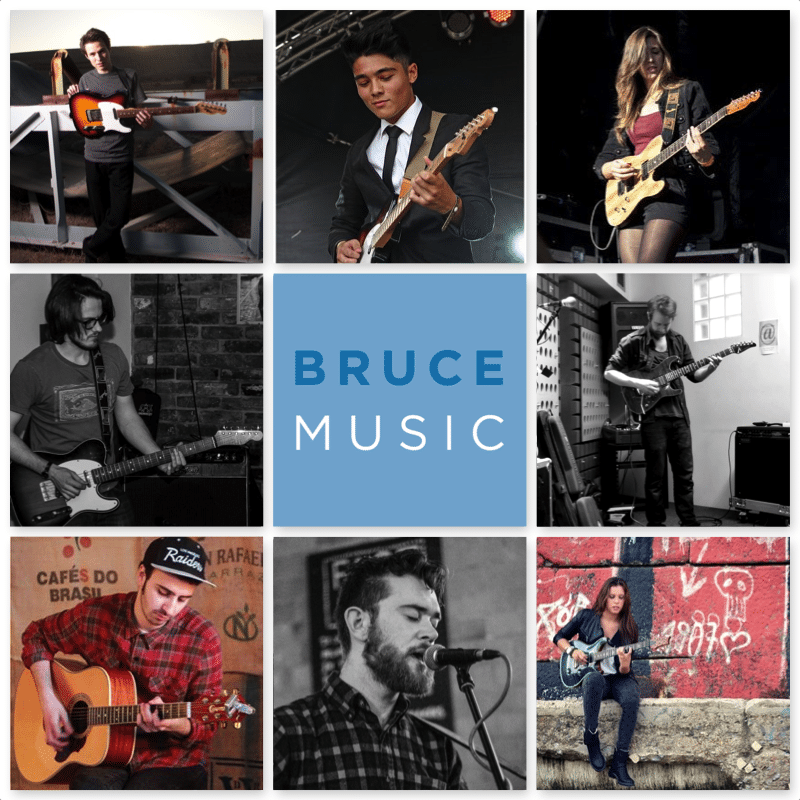 Several of our team are electric guitar teachers who can visit you, or host lessons from their home teaching space. Our electric guitar teachers will give you thorough guidance in electric guitar technique, practice and performance. Learn the basics of playing guitar solos! We offer classical guitar lessons anywhere in London and the surrounding areas. 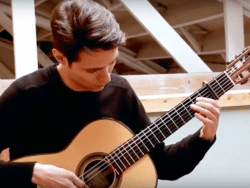 Classical guitar is expressive, beautiful and traditional, and lends itself wonderfully to a wide range of fantastic pieces from all the historical and contemporary musical periods. Our team of expert guitar teachers contains several classical guitar teachers – Specialists who can travel to you, or host lessons in their home teaching spaces, and guide you thoroughly as you learn to play classical guitar. If studying guitar grades is the route you want to take, we can help. All of our guitar teachers are thoroughly trained in preparing students for grade exams. We can prepare you to succeed in acoustic, electric or classical guitar grades with all the main exam boards including ABRSM, Trinity, RGT and RockschoolWe’re extremely proud to hold a 100% pass rate in all grade exams entered by our students, including many merits and distinctions.We offer less formal progression routes too. From help forming or joining bands, audition coaching, recording/music technology guidance, a helpful ear for your songwriting, or just healthy reminders to have fun and enjoy playing guitar. Your guitar teacher will ensure you get exactly what you want from your guitar lessons. Active London musicians – From session/studio work, to function bands to live tours. To view our teachers’ profile pictures, biographies and performance videos, visit our guitar teachers page. Our Guitar lessons London service is for students of any age and any ability. Absolute beginners don’t be shy! 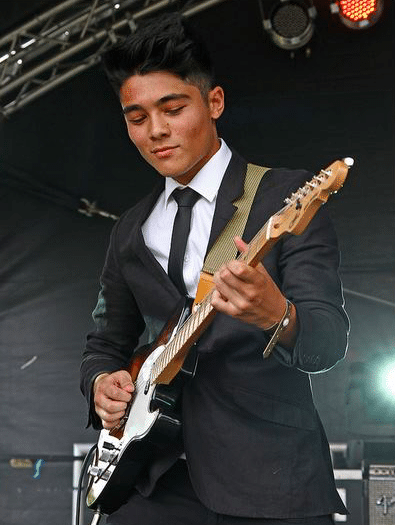 It is an essential part of our ethos that our guitar lessons are for everyone – and this is reflected in the range of instruments, lesson lengths, styles and approaches we offer. We have taught ukulele to groups of 3 year olds, classical guitar to ladies in their 80’s, and everyone in between. 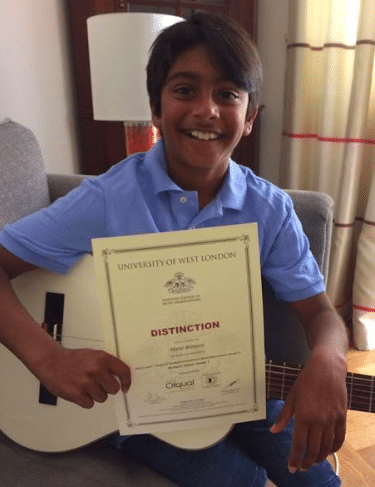 Our fantastic guitar teachers are very experienced and thoroughly trained, so we confidently offer our London guitar lessons service to students of all ages and abilities.